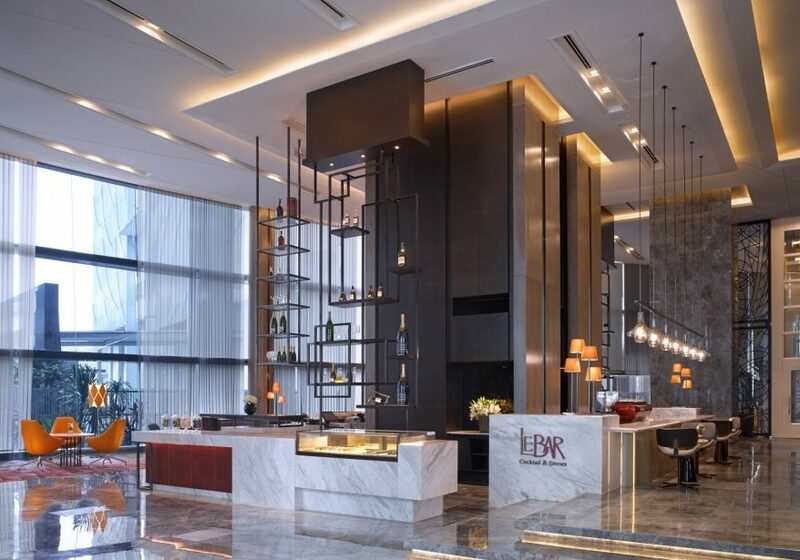 Situated adjacent to the lobby lounge with its cascading light sculptures, Hibiscus motifs and daily candle ritual, Le Bar is the place to be. Plan meetings with colleagues or hold impromptu gatherings. There’s a library on hand for some quality reading time and Champagne primed for any hour, night or day. Above all, Le Bar is a place for relaxation and refreshment. Come for a light meal, Afternoon Tea or a typically French goûter (snack). Apéro Chic starts at 6pm every evening.